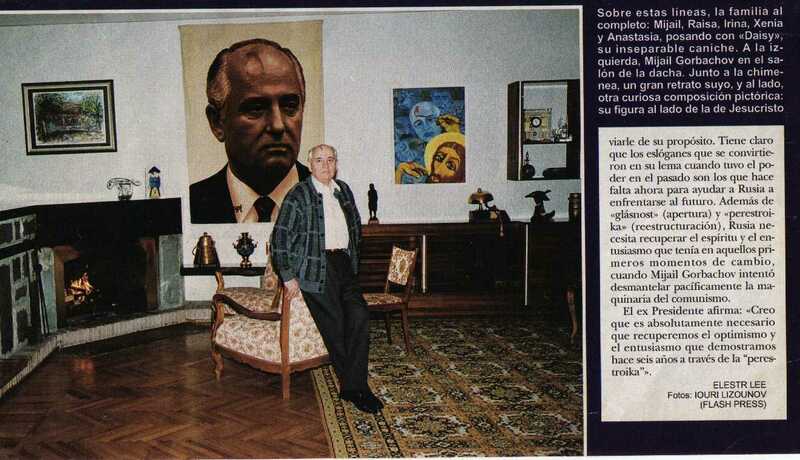 The article and photo below are from Spanish magazine, HOLA, written around 1998, featuring Gorbachev the Antichrist at his country-home. Notice the blasphemous painting in the background on the right. It is Jesus painting a portrait of Gorbachev with His own blood. This is really sickening. Notice the blood on Jesus' left hand from the nail wounds. He is painting the mark onto Gorbachev's head with His shed blood. This is Satanic blasphemy!!! Gorbachev has a wicked heart of stone, a wolf in sheep's clothing. I do not believe he is the ANTICHRIST, but certain an antichrist.